Nordic Semiconductor has just published a post, introducing the Zerynth tools to their readers. If you’re looking for a clear and concise explanation of what Zerynth is, and what you can do with our tools, the Nordic blog post is the answer. “One of Zerynth’s main strengths is that it also allows C/Python hybrid programming. Time-critical tasks can be coded in C while maintaining the simplicity, flexibility and readability of Python for everything else.” says John Leonard, Nordic’s Product Marketing Manager. Nordic’s blog is called Get Connected. A pretty neat solution for a name, since it allows you to get connected to the world of IoT. As they said, they are there to inform you and keep you updated about the changing landscape of the Internet of Things. That way, you can understand the opportunities and challenges of IoT for your industry. Visit the Get Connected blog and read about the topics that interest you the most. There’s something for everyone – from connected crops to cellular IoT. Last month we added support for Nordic’s nRF52840 SoC. This was the fourth Nordic board that we added to our list of Zerynth Supported devices. Check out the whole list to find what are the rest three. The nRF52840 DK is a versatile single board development kit for Bluetooth 5, Bluetooth mesh, Thread, Zigbee, 802.15.4, ANT and 2.4 GHz proprietary applications on the nRF52840 SoC. It can be powered with USB, but also includes a CR2032 battery holder, enabling in-field testing of prototypes. You can find more information about the board here. If you haven’t used our tools yet, now’s a great time to start. 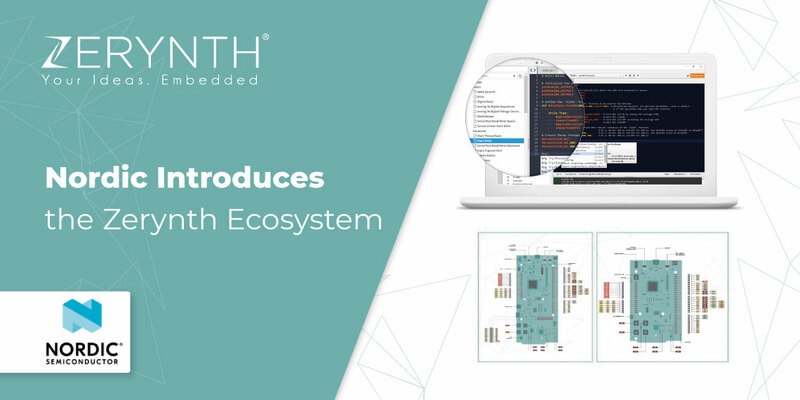 Download Zerynth Studio and start programming 32-bit microcontrollers in Python. It’s free and available for Windows, Linux, and Mac OS.